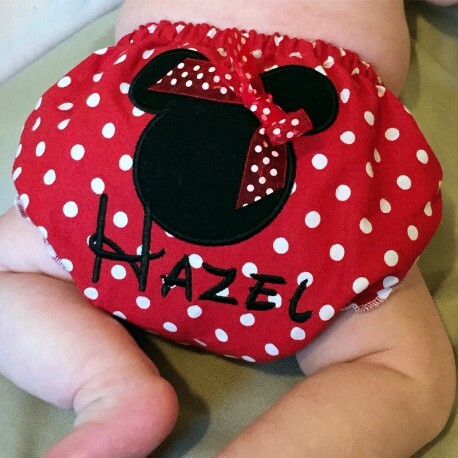 Your baby will get lot's of attention while wearing this cute mouse diaper cover! Perfect for boys & girls. 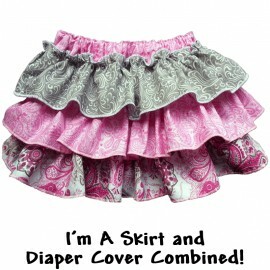 Available with or without the bow. 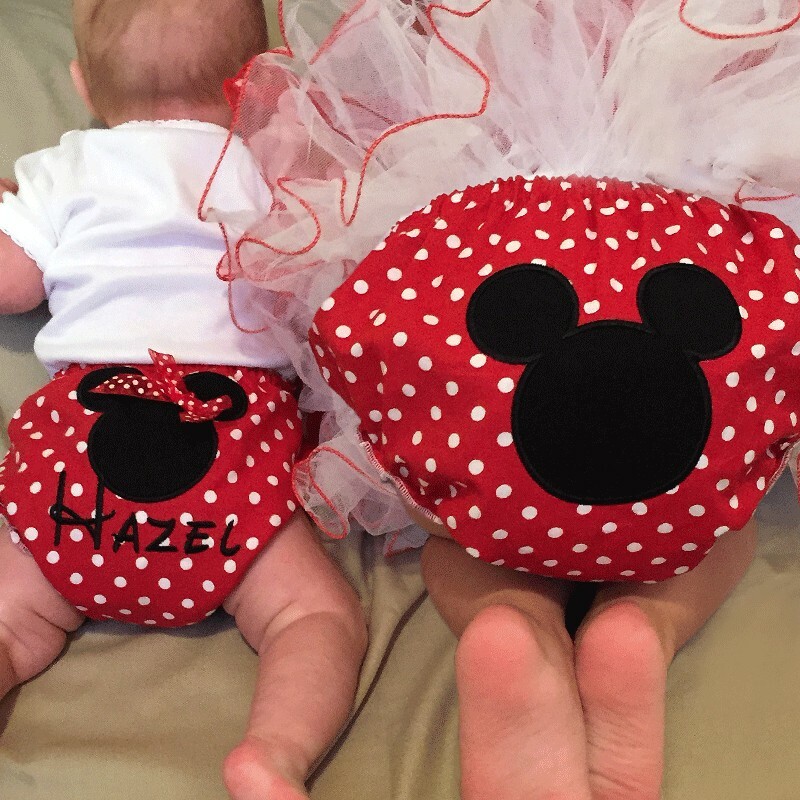 Add your baby's name for free! Personalize Me For Free! 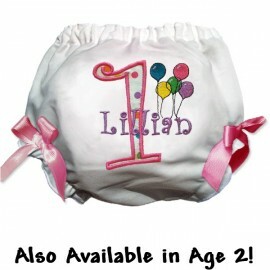 Purchase with or without your little one's name. If the personalization option is chosen, add their name to the customization area below. 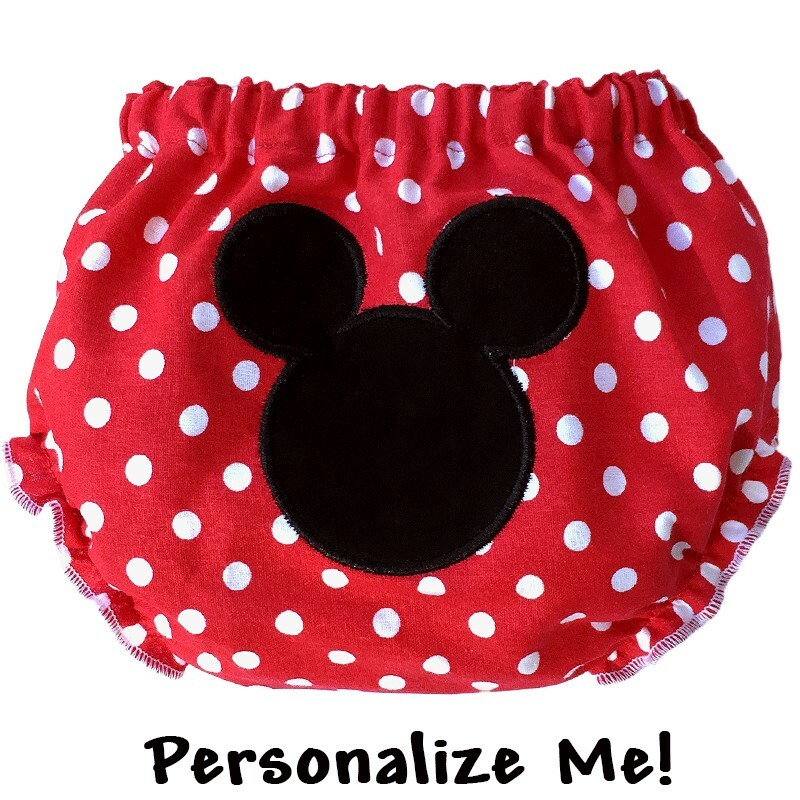 Features: Your choice of red or pink polka dot fabric. High quality mouse applique. Optional polka dot bow for extra cuteness! Comfort elastic.